Hot on the heels of their collaboration with director Spike Lee, Artisans de Geneve have created yet another unique Rolex, this time in collaboration with racing driver Juan Pablo Montoya. If there’s any man alive that can appreciate the Rolex Daytona, it’s Juan Pablo Montoya. He’s won an incredibly diverse cross-section of racing titles, from a CART series to the Indianapolis 500 to the Monaco Grand Prix. Among those accomplishments is the gruelling Rolex 24 Hours of Daytona. Needless to say, the diver has an appreciation of the timepiece that draws its name from the track, a far more relatable relationship that even the famous Paul Newman. Granted Montoya’s no Hollywood icon, but that hasn’t stopped him collaborating with Artisans de Geneve to create one of the most audacious Daytonas in existence, dubbed La Montoya. Rolex, as a rule, avoids skeleton watches. Most don’t even have exhibition casebacks. Here however, the boutique Genevan watchmaker has opened the dial entirely. Nothing is hidden here; you can even see the coiled balance spring. Not only does it showcase the glorious Rolex 4130 calibre, but it reflects the demanding technical nature of the Rolex 24 itself. That performance look is enhanced with a layered carbon bezel with the Daytona’s signature tachymetre and a few flashes of racing colours on the chronograph and small seconds subdials. The combination of red, blue and yellow is subtle but adds some much-needed colour to the otherwise monochrome piece. The La Montoya Daytona illustrates the lengths Artisans de Geneve will go to in order to create the perfect watch. 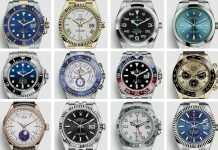 It’s not something you’ll ever see from Rolex themselves and that’s fine, but we’re certainly glad that someone out there is having fun with these iconic designs. Only 50 La Montoya Daytonas will ever be built but don’t worry; there’s sure to be something equally spectacular just around the corner. 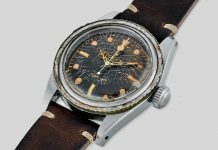 More information on Artisans De Genève’s website. 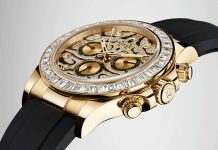 Share the post "Artisans de Geneve’s Skeletonised “La Montoya” Daytona Watch"